The British Science Association and University of Warwick are pleased to announce that the British Science Festival in 2019 will take place in Coventry and Warwickshire, from 10–13 September. Working in partnership with the University of Warwick, one of the UK’s leading research universities, the British Science Association will bring the four-day event to the region for the first time in its 188-year history. The British Science Festival is one of Europe’s longest-established science festivals, which each year travels to a new part of the UK, bringing a vast array of events, performances and installations with a scientific twist. Joining forces with the University of Warwick and other organisations across Coventry and beyond, the British Science Festival will shine a light on the cutting-edge innovation taking place in the region. Ivvet Modinou, Director of the British Science Festival, said: “We are delighted to be bringing the Festival to Coventry and Warwickshire in 2019. The University of Warwick has a fantastic reputation for its research and scientific excellence, and we’re very excited to be working with the University to create a flagship event. The British Science Festival moves to a different location each year, the first meeting having taken place in York in 1831, and is one of the British Science Association’s leading engagement programmes. This is the first time in the Festival’s history that the event will be hosted in Coventry, and its first visit to the county of Warwickshire. The British Science Festival Coventry & Warwickshire 2019, will take place between Tuesday 10 and Friday 13 September 2019, and will feature a diverse programme of talks, debates, performances and activities on campus at the University of Warwick and around the city. 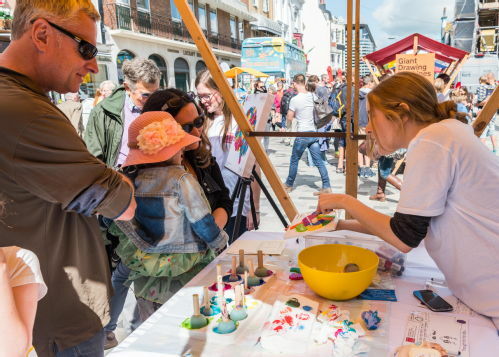 This will be immediately followed by a one-day family festival on Saturday 14 September, featuring a range of activities and events to suit young children and families, which will be created by the University of Warwick together with local partners. The Festival is aimed at an adult audience with a broad but non specialist interest in science, delivering 100 events, specially curated by the British Science Association. World-leading academics from the University of Warwick and other institutions and organisations across the UK will present, discuss and debate cutting-edge science from across the scientific disciplines together with its impact on wider society, at a range of different events, talks and performances. The British Science Association (BSA) believes that science should be part of – rather than set apart from – society and culture, and is owned by the wider community. Our programmes encourage people of all ages and backgrounds to engage with science, become ambassadors for science, and ultimately to be empowered to challenge and influence British science - whether they work in science or not. The University of Warwick is one of the world’s leading research institutions, ranked in the UK’s top 10 and world top 60 universities. Since its foundation in 1965 Warwick has established a reputation of scientific excellence, through the Faculty of Science, Engineering and Medicine (which includes WMG and the Warwick Medical School). A global university, Warwick was named in the top 20 of the Times Higher Education’s Most International University rankings and 10 subjects in the QS World University Rankings by subject.